Knox County’s five sessions court judges have waived a little more than a combined $1.2 million in court costs, fines and fees assigned to local offenders since last September when they started their new terms in office. And, Knox County’s three criminal court’s judges – who hear fewer cases than their peers in sessions court – have waived a little more than a combined $60,100 during the same time period. That means a not only are lot of local defendants not paying for their crimes, but the county and state are also losing out on much-needed revenue. Local leaders, however, noted that many of the defendants probably cannot afford the costs. "We see an awful lot of people who are chronically addicted, homeless, mentally ill," said Sessions Court judge Check Cerny. The judges are tasked not only with handing down punishments, but also deciding who can and cannot pay court fines and fees. "We're very, very careful," Cerny said. "we receive testimony in open court and often, we actually require affidavits (which detail a defendant's finances)." We scrutinize the evidence and make a decision based on, not sympathy, but rather whether or not it's financially prudent to continue trying to collect something that would be impossible to collect." But, there might be something they can do about it. When the state General Assembly meets again in January, officials are expected to talk about a proposal that would let judges waive the costs, yet subject the defendants to some sort of community service, possibly picking up trash on the side of the road, cleaning up the Tennessee River or volunteering at a non-profit. Rest of the story RIGHT HERE. The city is expected to put up a combined $4.2 million this year so that its three biggest public venues break even. Broken down that’s $1.4 million for the Civic Auditorium and Coliseum, $951,660 for Chilhowee Park, and almost $1.8 million for the Convention Center. The city, this year, set aside $9.5 million in its public assembly facilities budget, which covers the three venues. The operations are projected to bring in more than $5 million in combined revenues from the events each hosts. The money, however, isn’t necessarily a concern for Knoxville leaders. They told WBIR 10News that the city puts more of an emphasis on running an efficient operation and trying to close the gap between how much each of the facilities makes and how much the city has to chip in so that the bottom line is met. York said city leaders want the venues to provide entertainment and tourism, which will have spill-over effects that help benefit the entire community. “We think that is a meaningful usage of public funds,” he said. For more about the costs and the city's proposal to use an outside firm to manage the three facilities, click RIGHT HERE. 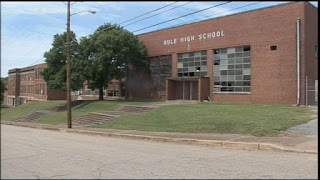 The Knox County school system is focusing on the historic Rule High School as a potential location for its new headquarters. 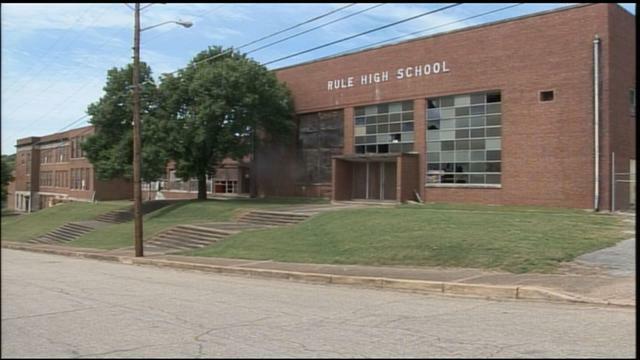 Rule, which is almost 90 years old, has long since fallen into disrepair and closed in 1991. The school system is looking to relocate some 200 employees from the downtown A.J. Building. In late July, five firms submitted proposals to help with the move. One firm, Dominion Development Group, even suggested rehabilitating Rule High School and setting up shop there. Other proposals included moving the workers to Physicians Regional Medical Center campus, also known as St. Mary's Medical Center, or relocating to Pellissippi Office Center - a 100,000-square-foot facility that sits on 11.5 acres off Cogdill Road. The proposals come as the county looks to put the A.J. Building back on the tax rolls. Blue Ridge Outdoors magazine has named Knoxville its 2015 Top Big City. The race was intense over the summer as Knoxville went up against Durham, Atlanta, Chattanooga and Charleston, West Virginia. The magazine hits newsstands and the web today with stories featuring each of the winners. In addition to Knoxville, Roanoke (VA) was named Top Mid-Sized and Franklin (NC) was named Top Small Town. Feature writer for Blue Ridge Outdoors, Jess Daddio, states, "...perhaps even more unique than the city's close proximity to recreational resources is the vibe of present-day Knoxville, a feeling of progression and unity that can most aptly be described with one word: collaboration." Said Visit Knoxville President Kim Bumpas: "Knoxvillians know how awesome Knoxville is and now the word is getting out,". "Our Urban Wilderness is easily accessible from various parts of town including our vibrant downtown. For these reasons and many others, Knoxville really offers a great deal to visitors, plus the sense of community is amazing." To read the article, go to Blue Ridge Outdoors Magazine. Former Knox County Trustee's Office ghost employee Ray Mubarak pleaded guilty in state Criminal Court on Thursday for bilking taxpayers out of $200,000. He was sentenced to serve one year of a 10-year prison sentence and ordered to pay back the money. His prison term will run concurrently with his federal sentencing. Knox County judges have voided 182 so-called forced annexation efforts by the City of Knoxville that homeowners challenged in lawsuits, many of them dating back more than a decade ago. The move was expected and comes after the state Legislature last year approved new law that prevents cities from annexing new areas without residents living in the targeted areas approving them move. The new law, however, does not affect existing properties that were annexed and went through the legislative process. The court orders were signed during the past month by the county’s three chancellors, according to officials with Citizens for Home Rule, Inc., which filed the lawsuits on behalf of the residents. Forced annexations were prevalent during the 16 years Victor Ashe served as Knoxville’s mayor. They were less common during under his predecessor Bill Haslam and non-existent under current Mayor Madeline Rogero. “I think it’s fair to say there was substantial, future revenue there, but I don’t know how much,” he said. Well, it looks like 2nd District Board of Education incumbent Tracie Sanger will have some competition in her re-election bid. Jennifer Owen, a former Dogwood Elementary School music teacher, has picked up the qualifying papers to run for the seat. She'll still need to secure 25 signatures from those registered to vote in the district. The deadline to qualify for the March 2016 election is noon Dec. 10. Sanger last year ran what local political experts say was the most expensive BOE race in Knox County history - raising and spending a whopping $57,200 for a partial term seat. Sanger’s race was to fill Indya Kinannon’s term. Kincannon, who ran unopposed for the seat a few years earlier, raised a meager $1,900. Sanger's opponent Jamie Rowe raised $17,765, although half of her receipts were from a personal loan; and a third candidate, Charlotte Dorsey, loaned herself $5,500 and spent about $3,580. The total spent for a two-year seat that pays roughly $21,500 a year? Almost $80,000. Broken down by ballots cast, Sanger essentially spent about $12.34 for each vote in her name. Now, I don't know if Sanger will get that much money this time around, but I'm pretty sure this race isn't going to be cheap, and KCS Superintendent Jim McIntyre will again be the focus. Sanger is considered an advocate for the administration. Owens is not. For more on who has picked up and turned in qualifying papers, click RIGHT HERE. Well, at least ONE elected official has publicly asked questions about the proposed Regal move that up until a heavily controlled press conference that included ousting protesters has been about as transparent as mud. At Tuesday's city council meeting, City Councilman Nick Della Volpe asked for more details about Regal Entertainment Group's move to Knoxville's south waterfront. His comments came toward the start of the meeting, when council members may present reports. Discussion of the city's proposed deal with Regal was not on the agenda. Della Volpe, who represents the 4th District, spoke up about 10 minutes into the meeting, saying he has been receiving comments from the public. "You know, there's two sides to the coin," he said. "One is, of course, it's great to have a good business like Regal in our downtown and the workers here using the facilities and the restaurants and the businesses that are here and helping to support that and the waterfront." "The other," he continued, "is sort of the economic wisdom of putting out $9 million to make that happen on the city's part. We are obviously the biggest player in that." Gov. Bill Haslam and state leaders announced on Friday afternoon plans for the relocation of the site of Regal Entertainment Group's headquarters to the South Knoxville waterfront. The company's headquarters are currently located 10 miles away from that, in the Halls community. Haslam said Regal has the intentions of adding approximately 70 new jobs with its relocation. Local and state government are set to give a combined $12 million as part of the move. That includes $1.5 million from the state, $1.5 million from Knox County, and $9 million from the city of Knoxville. Regal will pay an estimated $4-5 million in renovations. Knox County Law Director Richard "Bud" Armstrong will kick off his re-election campaign at 7 p.m. Thursday at the Crowne Plaza. I expect there will probably be a pretty big crowd that will feature a number of local leaders, including county Mayor Tim Burchett, Commissioner Bob Thomas and some Board of Education members. The Knox County Primary is set for March 1. At this point only local lawyer Nathan Rowell has picked up a petition to challenge Armstrong in the Republican primary. As always, send me your campaign information. The deadline to qualify for the election is noon Dec. 10. 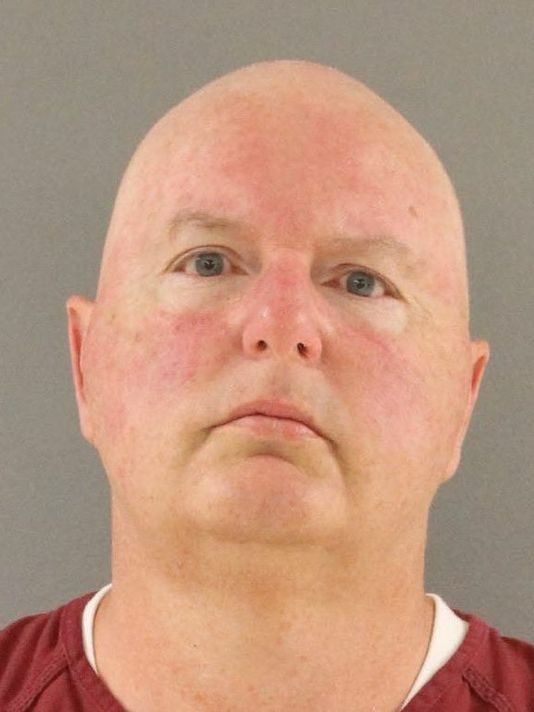 Former Knox County Trustee Mike Lowe, who pleaded guilty this spring to stealing $200,000 from taxpayers, has been released from jail. Knox County Sheriff’s Office confirmed to WBIR 10News that Lowe, who was sentenced in April to serve one year of a 10-year sentence, was released Oct. 16 from the Roger D. Wilson Detention Center on Maloneyville Road. Lowe was on the a work program, allowed under the terms of sentencing by Judge Steve Sword, that let him perform labor, like cleaning the jail, in exchange for reduced hours. Lowe’s problems, however, aren’t over. He has a Nov. 19 hearing to determine how much and when he will pay back the $200,000 in restitution. The City of Knoxville has hired international venue management company SMG to temporarily oversee daily operations at the Knoxville Civic Auditorium and Coliseum and Chilhowee Park, and by the end of the year, city officials will issue a Request for Proposals for a company to permanently take over these venues. During the interim contract, SMG will oversee about 30 city employees and manage event booking and daily operations for the facilities. 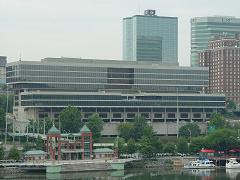 SMG already manages the Knoxville Convention Center, which averages 240 events per year and has welcomed more than 3 million visitors since it opened in 2002. SMG will not charge a management fee under the emergency contract, but the city will pay the company’s reimbursable operating expenses. The future of the Civic Auditorium and Coliseum has been questioned in recent years. The city hired Urban Land Institute to examine the best uses of it and several other city owned properties. The group suggested that the city should do away with the facility altogether, and turn the area into a "vibrant, desirable, mixed-use community that includes diverse housing types and households." In addition, the general manager of the Civic Auditorium and Coliseum retired and three other employees were fired earlier this month after an investigation discovered payroll irregularities. Here’s the city’s release on the Regal relocation – RIGHT SMACK HERE. Not really sure what to say. You either like it or you don’t. Gov. Bill Haslam called it a “game changer” for South Knoxville. I’m not sure I’d agree. Some 75 new jobs in exchange for more than $12 million in taxpayer monies is like $160K in folding coin per job. If the overall riverfront project is in danger and this is the only way to save it – and I’m not saying it is in trouble – then the Regal move would be significant. Maybe that’s the cash infusion that’s needed to keep it moving along. Or not. 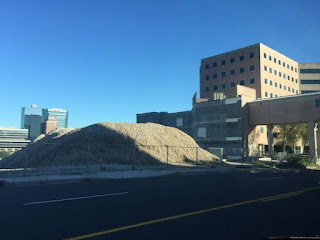 Still, I don’t know about you, but I don’t want a pile of rubble sitting on the riverfront for the next 20 years. So this could be one of those instances where ya just hold your nose and vote for it. Or not. I think in five, six or so years – provided the entire development is complete – no one will give much thought to the move or how much was spent. The county’s $1.5 million will come from end-of-the-year surplus. The city’s $9 million will come from: existing funds ($1.1 million); bonus/unexpected Hall tax revenues ($3.6 million); end-of-the-year surplus ($600,000); and reserves ($3.7 million). The city actually has a pretty healthy reserve tank by the way. The last time the city needed to come up with $10 million (ahem, pensions) it raised taxes. Now, that’s not going to happen for this project. It’s a one-time deal. But, if taxes are raised maybe in a year or two? Oh man. As you know, the past few years have been chaotic for Knox County Schools. Administrative scandals have been common and massive amounts of taxpayer dollars are being wasted on failed policies and practices. Our teachers and students are under attack by so-called educational reformers. I have decided to seek election to the School Board representing the 3rd District. Our community needs someone who will advocate for our district; not the special interests, but citizens. We need a school board representative who will insist on programs that help teachers to better teach our kids and see that the dollars are spent in the classrooms, not for pensions for administrators or simply a bigger bureaucracy. We need some common sense and plain talk on the Board of Education. I would like to be that advocate and I need your support and vote. Help me stand up for our students, teachers, parents, and taxpayers. On Thursday, October 22 from 6:00 – 8:00 I am having a reception at the Holiday Inn Cedar Bluff to kick off my campaign and I want to personally invite you to attend. If you want to share your thoughts, or merely let me know I can count on you, please give me a call or send me an email. I’d like to hear from you, as I want to know what you think about our schools and ways to improve them. Of course, we can also discuss these issues in person at the kickoff event. Hope to see you on October 22nd. Knox County Mayor Tim Burchett is once again launching a Wreaths Across America team in an effort to raise funds to place as many live wreaths as possible on the graves of veterans buried at the three veterans cemetery locations in Knox County. A $15 sponsorship will pay for a wreath made of live greenery to be placed on a veteran’s grave at either the Old East Tennessee State Veterans Cemetery on Lyons View Pike, the New East Tennessee State Veterans Cemetery on Governor John Sevier Highway or the Knoxville National Cemetery on Tyson Street near Old Gray Cemetery. There are more than 15,000 veterans buried at the three veteran cemetery locations in Knox County. Anyone wanting to sponsor a wreath can do so by visiting http://www.knoxcounty.org and clicking on the Wreaths Across America banner. The organization is also offering a “three-for-two” sponsorship special, which means it will donate a wreath for every two that are sponsored. The deadline for online donations is Nov. 30, and the deadline for donations made by check is Nov. 23. Checks should be made payable to “Wreaths Across America” and mailed to 400 Main Street, Suite 615, Knoxville, TN 37902. The wreaths will be placed on the graves on Dec. 12. Wreaths Across America is a national non-profit that works to place live wreaths on veteran graves during the holidays. Knox County Mayor Tim Burchett will formally dedicate the Connor Road bridge over Bullrun Creek in memory of Corporal Lawrence E. Lett, Navy Cross and Silver Star recipient, 1st Marine Division, US Marine Corps. The event will take place Oct. 27 at 10:30 a.m.
Cpl Lett was killed in action while serving in Korea on Oct. 27, 1952. More information about Cpl Lett can be found HERE, and information about his Navy Cross and Silver Star citations can be found HERE. The bridge is located just north of E. Brushy Valley Drive. The program will be held in the parking lot of Sunny View Baptist Church. Well, we called it: The state tomorrow will hold a press conference announcing the relocation of Regal Entertainment Group headquarters. You can read about it RIGHT HERE. I'm hearing that the announcement's holdup has been on the state's end, which has upset some folks on both the city and county side, since they're putting in more money. I'm told that the state wants to take the credit for this. Now, that could all be bunk. All sides did just recently hammered out the plan, so who knows. I expect everyone will be thanking everyone for this move and no one is going to take sole credit. Final question: Is Regal going to divvy out some free Star Wars tickets to Knox County-Knoxville residents for helping to fund the move? 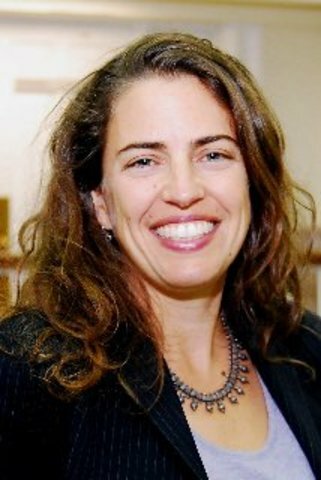 The Knoxville-Knox County Public Building Authority Board picked a new leader to oversee its $12 million operation on Tuesday, going in-house to choose a successor for long-time Executive Director Dale Smith. In a unanimous vote, the board hired Jayne Burritt, the office's current director of property management, to replace Smith, who is retiring Jan. 1. She will earn $150,000 annually and direct some 130 employees who work in property management and security throughout the local government owned-facilities. The recommendation to appoint Burritt initially came from Knoxville Mayor Madeline Rogero and Knox County Mayor Tim Burchett in August, although the board makes the final decision. The PBA's budget is jointly funded by the city and county. "Dale and I want to work together for the rest of the year, so we have a smooth transition," Burritt said. "There's a lot of things to pick up from him – he’s done a great job." Burritt said she wanted to focus on better training the PBA's employees and adding more technology to the overall operation. "I want to better prepare the folks to help our clients in whatever way they want us to," she said. "I see us growing – we continue to get more property that we have to manage, and provide maintenance, security and custodial services." Burritt joined the PBA in early 2008 and helps oversee security and maintenance for about 1.5 million square feet of facilities, including parking garages, downtown parking, World’s Fair Park and the City County Building. She is over roughly 100 employees and a $12 million budget. Prior to working for the PBA, she was vice president of corporate real estate for First Tennessee Bank and was a facilities manager with CB Richard Ellis, and has 20 years of experience in property management. 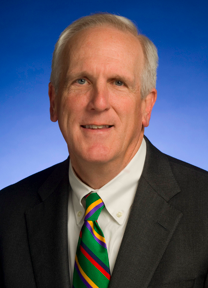 Smith, who earned $194,000 in salary, told WBIR 10News that he decided to step down for a number of reasons. Foremost, though, he planned to retire in a year or so but he also had to appoint someone to replace Jeff Galyon, the authority’s former director of project management. Galyon, who abruptly resigned in June under a cloud of controversy, was accused of manipulating bids, and spending PBA time working to benefit the downtown Blue Slip Winery, which he co-owns. Smith said it made more sense for a CEO who was going to be in place for a while to be the one to appoint a replacement for Galyon. "I don’t see the project management position going away," Burritt said. "I think that's something we need to work on. We have two divisions – project management and property management. For the project side we have to regain trust and find the right leader to make the city and county feel comfortable to use us again for big project. But I think there's opportunity there." She also will have to fill the head of security and parking manager positions. The Knox County Commission on Monday officially was handed the first piece of a multimillion-dollar financial proposal that would relocate Regal Entertainment Group’s corporate headquarters from the Halls community to the South Knoxville waterfront and keep the movie theater giant in East Tennessee. Commissioners opted to forward the proposal without a recommendation to next Monday's voting meeting. They did not publicly discuss the matter. Knox County Finance Director Chris Caldwell, at the request of Knox County Mayor Tim Burchett, added the $1.5 million funding proposal to the board’s work session agenda on Monday. The commission will publicly address the matter during next Monday’s monthly voting session. 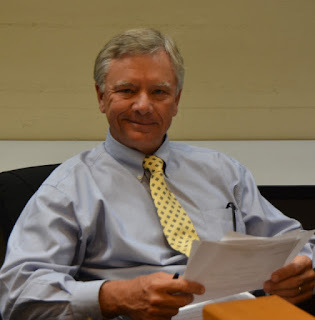 After the meeting, Commission Chairman Dave Wright said: "It's economic development. This is about jobs, and Mayor Burchett and the commission are interested in jobs, and if this is playing out for jobs to leave Knox County, then we need to be working to keep those jobs in Knox County." Well, that didn't last long. The Knox County Schools Board of Education will take up the matter of changing high schools students' schedules - at a later date. That was the decision made at Monday's mid-month work session, where board members discussed high school block scheduling. All of the district's high schools currently operate under a block scheduling format of some type, which consists of four 90-minute classes per day. A more traditional schedule could save the district money, according to a third party company called the Parthenon Group. After conducting a "Smarter Spending Plan" study on Knox County Schools several years ago, the Parthenon Group recommended changing the schedule as a way to save money. The more traditional schedule would consist of seven classes of 45 minutes each. While the move could save the district millions of dollars - estimated between $6 million and $8 million - it would likely result in the loss of teaching jobs through attrition and layoffs. Knox County will need another $1.4 million to cover health care for its employees due to the increasing costs of specialty drugs. The county will cover half the amount – some $700,000 – and then raise the price of premiums for its employees to cover the other half. For example, Sovaldi, a new specialty drug that has a 90 percent cure rate for hepatitis C costs $84,000 for a three-month course. A drug to combat hemophilia can cost as much as $130,000 per month. The county is self-insured, which means it pays the costs of the claims employees file. Some 2,300 employees and an additional 3,200 family members are on the county’s insurance plan. The cost of premiums, which are deducted from each pay check, vary depending on which of the three plans an employee has and the number of people on the plan. Starting Jan. 1, when the new plan takes effect, employees will pay an extra $5 per paycheck for individual plans; $10 per paycheck for a plan that covers them and one more person; and $15 per paycheck for the family plan. That will set the new rates for the least expensive plan at $10, $69 and $104, respectively. However, those costs will double if the employee does not have a health risk assessment conducted or participate in HumanaVitality, a program designed to encourage healthy lifestyle changes. Chris Caldwell, and the employees paid about a combined $4.2 million. Local leaders on Monday are expected to give the Knox County Commission a resolution that asks the board to set aside $1.5 million to help the Regal Entertainment Group relocate its corporate headquarters from the Halls Community to the South Knoxville waterfront. The monthly non-voting work session is set for 5 p.m. Monday in the Main Assembly Room at the City County Building. The proposal is not currently on the board's agenda, which was released publicly Thursday afternoon. It will be added before the meeting starts. "There will be something before commission to pass without recommendation," said commission Chairman Dave Wright. "I do not expect any discussion." Wright added: "The real conversation, though, is that we're talking about jobs and we don't want them to leave Knox County." The commission will then vote on the proposal during its Oct. 26 meeting. At issue is a proposed plan that entails the city buying back the building that’s still standing just west of the Gay Street Bridge at the development site of the old Baptist Hospital, and then leasing it back to Regal. The plan calls for the county to pay $1.5 million, the state to chip in another $1.5 million and the city to put in upwards of $10 million to help keep the headquarters of the nation’s largest theater chain in East Tennessee, multiple sources confirmed to WBIR 10News on Friday. The plan also will include additional tax incentives. Tennova Healthcare initially sold the site to Georgia-based developer Blanchard and Calhoun for $6.25 million. The city supported the project by securing an Environmental Protection Agency brownfield remediation grant, and through a $22 million tax increment financing, or TIF, package. In addition, multiple sources told WBIR that Gov. 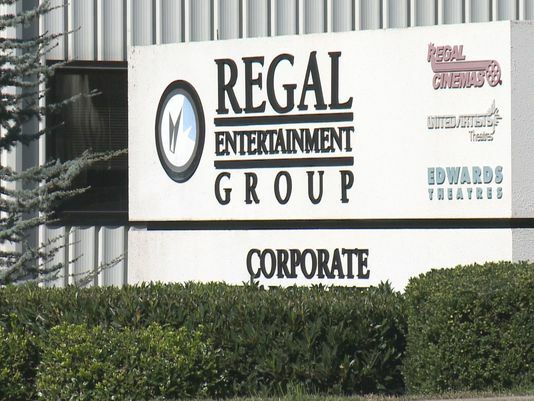 Bill Haslam and Randy Boyd, the state's commissioner of economic and community development, will be in Knoxville late next week to hold a press conference that details the overall proposal to relocate the Regal headquarters. 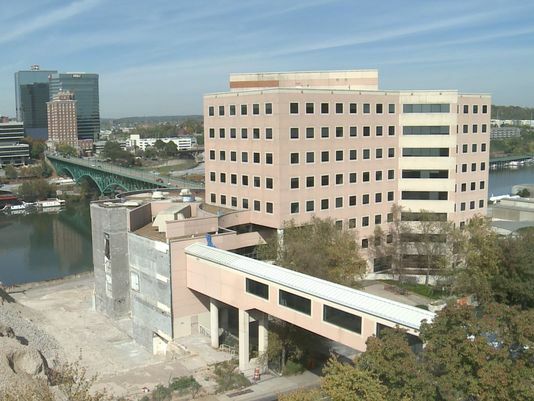 Sources also have told WBIR that the City Council will then talk more about the proposal during its meeting at the end of the month. 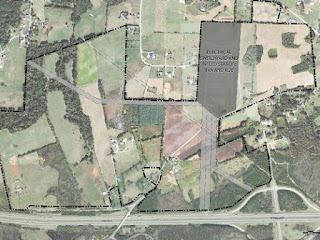 The Nicholas Gibbs Historical Society of Tennessee, along with residents, churches, businesses and other members of the Corryton and Gibbs community are hosting a cookout to show appreciation for the soon-to-be-built Gibbs Middle School. The cookout, which is open to the public, will be held on Saturday, Oct. 17 from 11:30 a.m. until 1:30 p.m. behind Gibbs Elementary School, 7715 Tazewell Pike. A news released notes that the community is appreciative of the entire commission and board of education, but especially for the work and support of Knox County Mayor Tim Burchett, Knox County Commissioner Dave Wright, School Board members Mike McMillan and Doug Harris, and Superintendent Jim McIntyre. In addition to free food, there will be live music and fellowship among neighbors. Event sponsors include: Huddletown BBQ, Midway IGA, Easy Stop Exxon, Weigel’s, Highway Markings, Walgreen’s, Dollar General, CVS, Twisters, Henry’s Deli & Bakery, Shell Breadbox, Patterson TnWaste, Gibbs Car Wash, Gibbs Service Center, The Knoxville Focus, Knox County, Former County Commissioner Jack Huddleston and Former Board of Education Member Steve Hunley. I'm thinking one of the next big KCS things coming up (other than the superintendent's evaluation) is a discussion centered around whether to move Knox County high school classes from a block schedule to a traditional schedule. Some officials say the move would save millions - possibly between $6 million and $10 million - through teacher layoffs and attrition during the course of several years. There's obviously pros and cons with each. I'm thinking for teachers, it means they're going to be up later at night and working longer hours (they really don't get their summers off, so quit with that BS) because they'll be planning for eight classes rather than four. But, it's probably a better move for students. For example, think about math, a subject that compounds learning strategies and formulas as you continue to move higher. A student taking a course first semester sophomore year might not take it again until second semester junior year. That's a long time, whereas the traditional schedule would give you a healthy dose of it, something that would lessen the chances a student forgets the subject. Also, and this was explained to me awhile back but I wasn't really paying attention, but apparently block schedules give students second changes to pass classes or something. Anyway, it's all tied into scores or graduation or something that a student apparently won't get under the traditional schedule. If true, that alone should scare some folks that want to see the student graduation percentages increase. That said, the proposal to change schedules comes from the Parthenon Group, which has caught heck from quite a few folks. Expect that to come into play. Anyhoo, The school board is expected to start discussing the matter during its Monday meeting. For more, RIGHT SMACK HERE. Four Knoxville City Council seats are up for grabs in the Nov. 3 election. There are five different early voting locations throughout Knoxville. For a list of candidates, locations, voting times, blah, blah, blah, click RIGHT SMACK HERE. 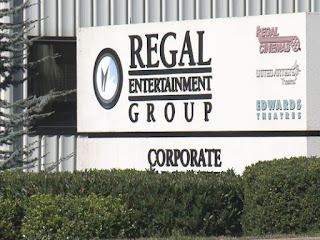 City, county and state leaders are in negotiations with Regal Entertainment Group to potentially relocate the movie theater company's corporate headquarters from the Halls community to the South Knoxville waterfront at the old Baptist Hospital site, multiple sources confirmed to WBIR 10News. The proposed deal with the nation's largest theater chain could cost the three governments as much as a combined $10 million and possibly more, the sources said. The plan would entail the city essentially buying part of the property – more than likely the main building still standing just west of the Gay Street Bridge. Tennova Healthcare initially sold the site to Georgia-based developer Blanchard and Calhoun for $6.25 million. The city supported the project by securing an Environmental Protection Agency brownfield remediation grant,and through a $22 million tax increment financing, or TIF, package. The sources spoke to WBIR on the condition of anonymity because the deal, which could include tax breaks, has not yet been finalized. If it does go through, Knoxville City Council and Knox County Commission will still have to sign off on it. The sources told WBIR that such a proposal could possibly go before the two governing bodies within a month. 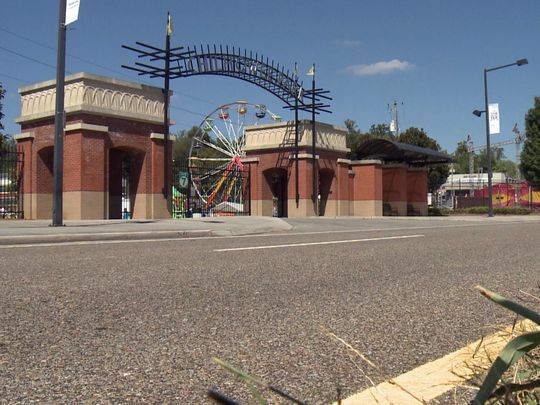 State Attorney General Herbert Slatery declined to issue an opinion about the gun ban at Chilhowee park during September's annual Tennessee Valley Fair. "Our office has a longstanding policy of not opining on questions concerning matters pending before the court," he told us today. "This question will ultimately be decided by a Judge, so it would be inappropriate for our office to intrude on that process." Earlier this month, a Loudon County woman sued the city over the matter. A number of local leaders had requested an opinion from Slatery. Knox County Mayor Tim Burchett, Commissioner John Schoonmaker and others will formally dedicate the one-lane bridge on Coward Mill Road over Beaver Creek in memory of the late Donald Caldwell. Caldwell was active in the Karns and Hardin Valley area, and worked to preserve the bridge that is now being dedicated in his memory. Members of his family will also be in attendance. For the safety of participants and attendees, the bridge dedication program will be held on Ben Atchley State Veterans’ Home property located near the bridge. Members of his family will also be in attendance. In the late 1980s, Caldwell and others organized an effort to preserve the historic bridge, one of only five in the state, and it remains in use today. He also helped pioneer the effort to plant daffodils and redbud trees along Pellissippi Parkway. 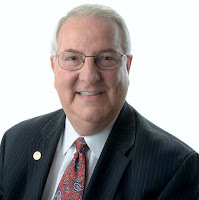 In addition to serving his community, Caldwell was an Air Force veteran who served in the Korean War, prior to moving to Knoxville to work for the Knoxville Utilities Board. He passed away in May 2014 at the age of 84. Nine men are applying to take over the Tennessee Supreme Court seat vacated last month by East Tennessean Gary Wade. 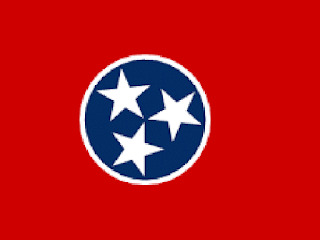 According to the Administrative Office of the Court in Nashville, the nine are: Matthew P. Cavitch of Eads; Thomas R. Frierson of Morristown; Mark A. Fulks of Johnson City; Ted M. Hayden of Gallatin; Robert D. Meyers of Memphis; Herbert S. Moncier of Knoxville; Robert H. Montgomery Jr. of Kingsport; Roger A. Page of Medina; and Larry Scroggs of Germantown. The Governor's Council for Judicial Appointments will consider the candidates Oct. 27. The council interviews any who apply and then nominates three candidates for the governor to consider. Gov. Bill Haslam, by order, can pick from among the three nominated or require the council to submit a panel of three additional nominees. The chosen candidate can come from either West Tennessee or East Tennessee. The five-member court already has two justices from Middle Tennessee. Wade, of Sevier County, retired Sept. 8 to become vice president and dean of Lincoln Memorial University's Duncan School of Law downtown. From the Knoxville area, Moncier is among the most high profile candidates. He has practiced law for decades and his clients have included accused serial killer Thomas D. "Zooman" Huskey. He also filed litigation in the 1990s challenging then Knox County Sheriff Tim Hutchison as well as the failure of officer holders to comply with a local prohibition against serving more than two elected terms. Moncier's ability to practice in federal court was suspended for several years but he continued to practiced in state court. A nonprofit that advocates for prisoners' rights says Knox County is censoring its mail to inmates, and it's seeking a court order to stop the practice. 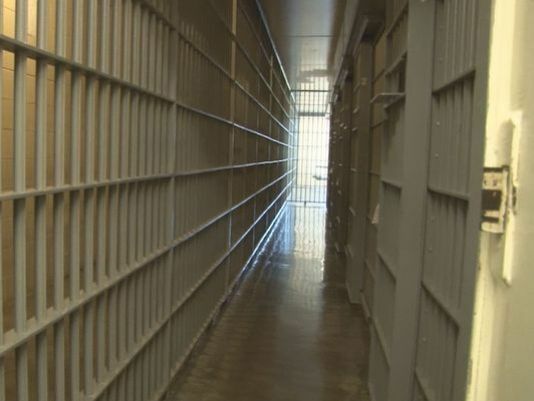 The non-profit Prison Legal News filed a lawsuit Tuesday in federal court in Knoxville. 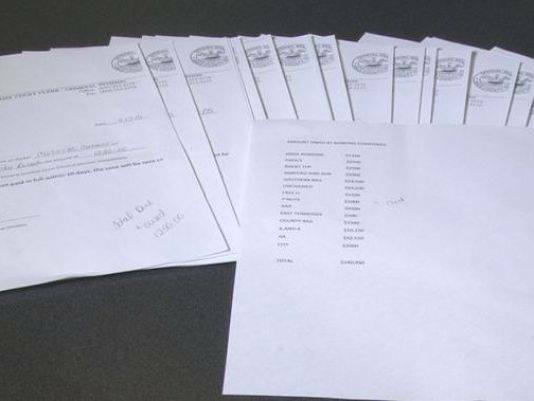 It claims the Knox County Jail has censored at least 147 items it has sent to inmates since November 2014. Jail policy says all personal mail to inmates must be on standard-size postcards with preprinted stamps. 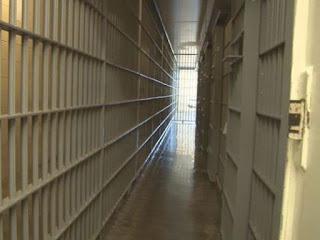 The suit claims that policy serves no legitimate government interest and violates the plaintiff's free-speech rights to communicate with inmates. The lawsuit names Sheriff Jimmy "J.J." Jones, Assistant Chief Deputy Rodney Bivens and Knox County as defendants. Prison Legal News, an advocate for prisoner's rights that sends its publications to more than 2,600 correctional facilities across the country, wants a temporary court order to stop the censorship while the case makes its way through the courts. A spokeswoman for the Knox County Sheriff's Office says they don't comment on pending litigation. "As part of its organizational mission, PLN engages in core protected speech on matters of public concern, such as prison operations and conditions, legal updates on prison litigation, prisoner health and safety, and prisoners' rights," the lawsuit states. Don't kid yourself: The votes are there. This is getting approved. Residents at an East Knox County meeting Thursday night brought up issues ranging from sewage and lighting to a cemetery that could be impacted by a proposed business park off Interstate 40. The public was invited to a meeting at Carter Elementary School to discuss the project in the Midway area near Midway Road and Thorn Grove Pike. Presenters also went over feedback received at a similar meeting last month. The Development Corp. of Knox County acquired the site about 10 years ago. The Metropolitan Planning Commission and Knoxville Utilities Board were on hand to address concerns and share new information about the project. Business leaders stress it's among the last large tracts available that can be used to promote business park developments. The City of Knoxville’s general manager of the Civic Auditorium and Coliseum retired and 3 other employees were fired today after a Knoxville Police Department Internal Affairs investigation discovered financial irregularities involving almost $4,800. General Manager Dale Dunn retired today, and Assistant General Manager Robert Sandoval, Stage Manager Tom Kelly and Financial Analyst Salina Garrett were terminated. The investigation showed that Sandoval had used a false name to submit payment records for working events at the Coliseum that he was already being paid to work as a salaried employee. Dunn and Kelly had signed the forms, and Garrett submitted the paperwork, all knowing that Sandoval was being paid additional money by a third party for working the shifts. There is no indication that Dunn, Kelly or Garrett benefited financially. No City funds were lost in the extra payments. Sandoval, a salaried City employee, also is a member of the International Alliance Theatrical Stage Employees union. To be paid by an event promoter for working a Coliseum event, Sandoval is alleged to have submitted a form with the fake name to the City while sending two copies of the same form to the union that reflected his real name. The payments to Sandoval from event promoters through the union, typically about $65 each, totaled $4,755.50 over 4½ years. The KPD investigation found no evidence that any other employee had used a fake name. The investigation into financial irregularities involving the promoters’ payments to Sandoval began due to internal oversight measures in the City’s Public Assembly Facilities Department, which oversees the Civic Auditorium and Coliseum. Additional safeguards have since been instituted. Meanwhile, Mackay said that experienced Civic Auditorium and Coliseum staff members will manage already-scheduled events at the facility and will continue booking new events. 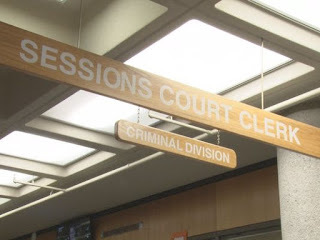 The Knox County Criminal Court Clerk's Office has collected roughly $78,500 from East Tennessee bail bonding agencies that owed the state because their Knox County defendants failed to show up for court. The uptick in collections comes just weeks after a WBIR 10News investigation revealed that more than a dozen of the companies were on the hook to the justice system for more than $141,000. The Clerk's Office reports some of the debts go back two and three years, some maybe even more than that. The money – called a bond forfeiture – is a source of revenue for the state. But it falls under the purview of the Clerk's Office and the local General Sessions and Criminal Court judges to monitor, collect and enforce. When someone is arrested and jailed, a magistrate or a judge often sets a monetary value of bail. It's meant to ensure a defendant will come to court if given his freedom pending prosecution. The defendant is typically kept in jail until the full amount of bond is posted, usually by someone acting on his behalf. Once the defendant's case comes to a resolution, the person will get back the money – minus any fees, penalties or court costs. In addition, a defendant wishing to pay bail can purchase a surety bond – or premium – through a bonding company. That cost is typically 10 percent of the overall bond amount, and the defendant does not get the money back. By agreeing to bond the person out, the bonding agency becomes responsible for making sure the defendant goes to court for trial. If the defendant skips a court date, the judge issues an arrest warrant and forfeits the bond. The agency then owes the court the full bond payment. Knox County Criminal Court Clerk Mike Hammond said seven bail bonding companies have paid a combined $78,500 of the total debt as of Oct. 7. Wait, so the plaintiff is scared to go to the Tennessee Valley Fair because she can't bring her gun. But she will go to the same park for a gun show because they have armed security. And yet the fair has armed Knoxville Police Department officers serving as security. Yeah, makes a lot of sense. 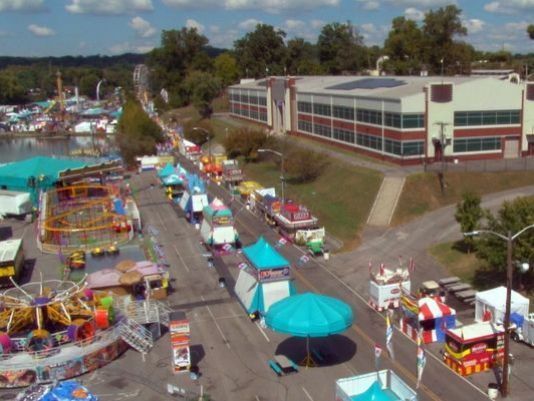 A Loudon County woman has sued the city of Knoxville and Mayor Madeline Rogero after local leaders declined to allow guns inside Chilhowee Park during September’s Tennessee Valley Fair. The LAWSUIT, filed Wednesday in Knox County Circuit Court on behalf of Pandora Vreeland, requests that the court issue a declaratory judgement to allow those with valid carry permits to "possess their firearms" inside the park. The lawsuit says Vreeland "could not safely attend" the fair since she was not allowed to bring her gun. "Because Mrs. Vreeland is unable to carry her firearm as permitted under state law, she will not be going to any future events other than gun shows, which have armed security and are generally quite safe events . . . ."
Vreeland also noted that "gun free zones are uniquely susceptible to violent crime." The lawsuit was not unexpected. Attorneys suggested last week they were preparing litigation. At issue is a Tennessee law that says someone with a gun carry permit can bring a weapon into a state or city park so long as it’s not close to a school. City leaders and fair operators, however, said the law does not apply to the fair. They noted that the park is an “entertainment and public” facility, so the law – signed by Gov. Hill Haslam in April – does not apply. During the fair, no one challenged the ban at the gate, according to Rogero. Several people were found to have weapons. They put them away before entering the fair, according to Rogero. Rogero said fair organizers also had asked that gun-carriers be prohibited from bringing weapons into the fair. "Chilhowee Park, although its name would indicate it's a park, it's really not a park," Knoxville Law Director Charles Swanson told WBIR 10News in September. "You will see on our website we have a list of 81 parks that our Parks and Rec Department maintains, and Chilhowee Park is not one of those." The Knoxville Police Department provides security for the 10-day event. From the city: Anticipate overnight alternating lanes closures beginning at 8 p.m. Thursday on Cumberland Avenue between Alcoa Highway and West Volunteer Boulevard as a contractor repaves and restripes the road. The repaving work will be finished by 6 a.m. Friday. The Phase I work – upgrading aging utilities, improving traffic flow and adding Streetscape amenities on the western section of Cumberland Avenue – remains on schedule for completion by the end of 2015. The overnight repaving will level rough or uneven spots through the Cumberland Avenue reconstruction zone. A second, more permanent repaving will be performed as the Phase I work is finished. The City’s $17 million reconstruction of Cumberland will modernize aging infrastructure and change the existing four-lane street to a three-lane cross section with a raised median and left-turn lanes at intersections. Sidewalks will be widened and landscaped, and utility lines relocated, to create a more attractive, safer, pedestrian-friendly corridor. 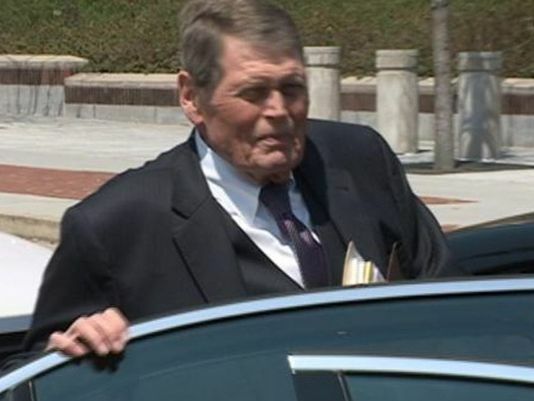 The nation’s highest court has declined to hear the federal case against disgraced former Knox County Criminal Court Judge Richard Baumgartner. The U.S. Supreme Court announced Monday that justices will not hear arguments as to whether federal prosecutors overstepped their boundaries after Baumgartner pleaded in state court. 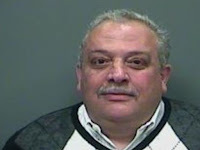 Lawyers for the former judge had argued that the prosecutors went too far in trying to apply an arcane area of the law. Instead, they said the matter should have remained as a state-prosecuted case. Once convicted in federal court, Baumgartner lost his state pension. Defense attorneys Don Bosch and Ann Short in March submitted their bid, called a petition for certiorari, to the court. It typically takes four justices to agree to hear a case, and the court takes only a fraction of the petitions submitted to it. In September 2014, a three-judge panel of the 6th U.S. Circuit Court of Appeals turned down an appeal by Baumgartner in what amounted to a split decision. In October, the lawyers' request for a full or "en banc" review by the appellate court was denied. Baumgartner, who presided over such high profile cases as the Thomas D. Huskey serial killing case and the prosecution of four people in the Christian-Newsom homicides, stepped down in early 2011 as details began to emerge that he had carried on an affair with a woman in the drug court that he supervised, using her to secure prescription pills for a drug habit. He admitted to official misconduct and received a diversionary sentence in state court. He was allowed to keep his state pension. Then, federal authorities stepped in, securing indictments against him for what's called misprision of a felony, for which a jury convicted him in 2012. His state pension was now in jeopardy. Misprision of a felony is an old area of the law, dating back more than 200 years in the United States. Simply put, it means someone was aware of a felony, concealed that and failed to report it to the proper authority. It's generally been applied to circumstances when someone explicitly tried to hinder a federal investigation, Bosch and Short argued. Since the U.S. Supreme Court declined to take up the case, the matter is officially over. The City of Knoxville turns 225 on Oct. 3 next year. So, starting in January, Visit Knoxville will collaborate with numerous art, historical, and cultural organizations to highlight Knoxville's unique past. The 2016 Knoxville Visitors and Relocation Guide will have a heavy focus on the 225th Anniversary, offering current residents, newcomers, and out-of-town guests the opportunity to explore and actively engage in our history and culture. Visit Knoxville is coordinating all events and information regarding the 225th Anniversary. For more information, go to 225.visitknoxville.com or call (800) 727-8045. Knoxville Mayor Madeline Rogero has added former Knox County School board member Indya Kincannon to her staff. Kincannon, who will start Oct. 5 and earn $60,000 annually, will oversee community agency grants and appointments to city boards and commissions. 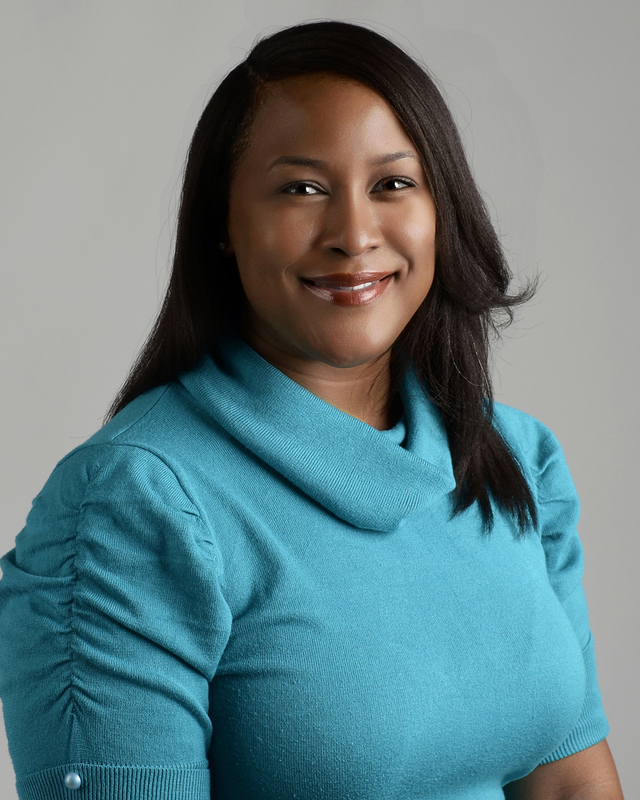 She also will manage special projects for the Mayor, and serve as the mayor’s liaison to the school system. Kincannon served as a school board member from 2004 to 2014 before teaching writing, history, Spanish and drama to international students in Slovenia in 2014 and 2015. She’s also served as Beaumont Magnet Academy PTA president, a Fourth and Gill neighborhood leader, a Habitat for Humanity group leader and Mayan Families Project volunteer in Guatemala, and a volunteer AYSO soccer and Baby Falcon basketball coach. Kincannon will replace Jackie Clay, who served as the mayor’s project manager since December 2011. Clay, who also will earn $60,000 annually, was promoted to a position where she will manage a community crime reduction program targeted to two specific Project Safe Neighborhoods that work to reduce violence and create opportunities for boys and young men of color from the ages of 15 to 24. 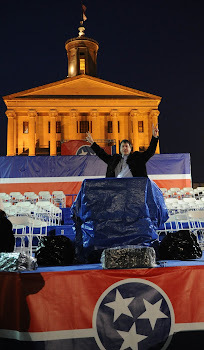 Clay, who lives in the Parkridge community, has been a community organizer and an instructor at the University of Tennessee College of Social Work. 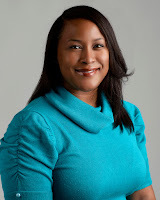 She serves on the Martin Luther King Jr. Commemorative Commission, as board chair of Girl Talk Inc., as the nominating committee chair for HomeSource East Tennessee, and as vice president of the Freedman Mission Historic Cemetery Committee.